The word Christ is the New Testament word for the Old Testament word, Messiah. So we look to the Old Testament first, in order to understand what the New Testament word Christ means! It certainly means more than just a swear word. It was not Jesus' surname, although it was appended to His name in the New Testament, more as a way of expressing who He was! 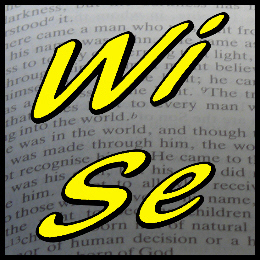 So how is the word Messiah used in the Old Testament? The word translated ‘Messiah' is found only twice (Daniel 9:25-26). The New International Version translates the word ‘Messiah' as the ‘Anointed One'. The Old Testament idea of Messiah has five principles attached to it: God's chosen and anointed man; He will bring salvation for God's people; He will judge God's enemies; He is an appointed ruler over nations; He is an active representative of God. Surprisingly, these five principles can be applied to King Cyrus (Isaiah 45:1). Cyrus, is an example of a Messiah, the anointed one of God, even though he was not one of God's people, the Israelites. This shows that the word Messiah can have a non-religious meaning behind it. The Messiah, God's Anointed One, is pictured in several ways in the Old Testament. There is the Suffering Servant (Isaiah 40-55); the Conquering Warrior (Isaiah 56-66); the Branch - particularly of David (Jeremiah 23:5; Zechariah 3:8); Son of Man (Daniel 7); and finally Anointed Prince (Daniel 9:25-27). All of the Old Testament Covenants pointed towards this future coming of the Messiah, God's Anointed One! Through all these Covenants we see a God who is willing to interact with His creation and bless it. When first century Christians such as Paul, Peter and John checked all the events surrounding the life of Jesus, they searched their Scriptures, our Old Testament. It was as the Holy Spirit illuminated their minds, that they wrote down and passed on the whole gamut of Old Testament promise which was fulfilled in God's Messiah and the world's hope: Jesus Christ and Him alone. Jesus Christ is all five of those principles referred to in the Old Testament Messiah. Investigate the New Testament for yourself to find how, why and where! For example 2 Samuel 7v12 predicts the birth of Solomon as David's successor to the throne with his role being to establish David's throne forever (2 Samuel 7v13). We see this link to Jesus Christ, though the genealogies to both Joseph: a legal right to David's throne (Matthew 1v1-17) and to Mary: a blood right to David's throne (Luke 3v23-38). Or the Mosaic Covenant, or Law of Moses, was given that they could realize the helplessness of their own efforts, and their need of God's help. Galatians 3v22-24 explains that the Law was only a protective fence, until through the promised Messiah, humanity "could be made right with God through faith." All of history pointed to the coming of this Messiah, this Christ, if you will. This was all part of Paul's reasoning from Scripture with the Jews he came in contact with. Of course for Paul, as for us, the Messiah is Jesus Christ. All of history, points to this Jesus Christ, coming back again. Coming back, not as a baby next time, but as a King in glory! What was your worldview before you became a Christian? What is your worldview now that you are a Christian? Are there any similarities and differences between the two? What does a Christian worldview consist of and what are some of the thoughts behind opposing worldviews that are prevalent in Western society today? Shock rock group, Slipknot, in one of their songs, describe people as the equivalent of excrement. Reality television programmes love to show the degradation and embarrassment of human participants. The London Zoo has in 2005 exhibited humans and treated them as animals, in order to reflect humanity's "basic nature" and place on earth. The pornographic industry, despite protests from both religious and non-religious groups, shows both men and women in airbrushed degradation, with pictorial and verbal humiliation. All these treat humans as mere, undignified 'glory-less' commodities to be used and degraded, albeit, in the main part willingly. Some treat other people as either their equal or of lesser concern than themselves. This is following what is commonly called the “Golden Rule“, which is “do to others, what you would have them do to you”. Furthermore, there is the thinking that there are no certainties or absolutes in life, just your own perspective. Morality is a private thing and what is right for you, may not be right for me and don't dare tell me that I am wrong in any aspect of my life. My morals are mine and mine alone, and it is my right. As for religion, all religions inevitably lead to some form of god or gods, that is if any exists at all. Richard Dawkins, the eminent Oxford biologist and atheist, decrees that humans are merely a miniscule section in nature's rich spectrum, and Darwinism explains not only how we got here but that our purpose has evolved just as we have evolved biologically and sexually. Based on this hypothesis, he sees no reason for a creator or any form of intelligent designer, as man evolved by "chance and random variations". Further to this, he views "humanity as just one little twig", amongst the order of primates. He does however admit, that humans have probably evolved as far as they can and further concedes that there is "no definitely accepted account" regarding life's beginnings. This atheistic and naturalistic theory goes on to deny the very existence of a spiritual world and claims that our emotions such as love, fear, hatred and guilt, or our thoughts and feelings, are merely physical or chemical in origin. Contrast these with a Christian worldview. Atheistic views are entirely theoretical and are based entirely upon presupposed disavowal and disbelief in any form of deity, whether personal or impersonal, and belief that any kind of faith is blind, non-evidential and irrational. Juxtaposed against this thought, Genesis 1 asks us to rejoice in the knowledge of who we are, as the pinnacle of creation. Early Greek Patriarchs likened the creation of humanity to a royal leader being shown his new palace. Again, contrast those worldviews against Scripture, which says, that humanity, both male and female, is made in the image of God, the imago dei, and is therefore according to one of the church fathers made to "reflect the Divine". Paul when writing to the Thessalonian church said: “May God himself, the God who makes everything holy and whole, make you holy and whole, put you together—spirit, soul, and body—and keep you fit for the coming of our Master, Jesus Christ” (1 Thessalonians 5:23). When God created humanity, it was in His image that they were created. The Bible indicates that humans are composed of 3 parts - Body, Soul and Spirit. The spirit and soul are only separable in thought and are probably best seen as two separate dimensions of the non-material side of a person - the spirit relating to God, and the soul relating to earth. All three parts, spirit, soul and body have an important role to play in our humanity. The whole person is valuable to God, not just the spirit as Paul wrote to the Thessalonians (1 Thessalonians 5:23). Other philosophies and religions have tried to portray the body as evil or irrelevant, and this has crept into some parts of Christianity, with the tradition of priestly celibacy and asceticism. A break down in any of these areas can cause imbalance in the other areas. For example, research has shown that sometimes, physical sickness can be caused through emotional turmoil. Studies have also revealed that mental illness may occasionally be caused through guilt or unforgiveness. As humans we are created in His image, and as Christian Disciples we were bought at a price when Jesus died on the cross. God created humanity, in His own image therefore higher than the animal world. Humanity subsequently rebelled and disobeyed God. God then took the initiative and promised a way out through His chosen Messiah. This Messiah was Jesus Christ, and he had simultaneously both human and divine natures. It was He, who as God, stepped into history and became confined for a short while by time and space. He was born so that when He died on the cross, it was to pay the price so that all of humanity could be freed from slavery to sin and disobedience, if only they chose to accept and believe in Him as God. He rose again physically from the dead, ascended into heaven and now sits at the right hand of the Father. Those who don't accept Him as Lord and Saviour wil spend eternity apart from Him. He is the only way to God, and all other paths lead to destruction. That is why Christianity is the only true and permanent hope for the world. As Christians Disciples, living in the 21st century, we are to place God first, others second and ourselves last. That is the path a Christian Disciple is to walk, following and serving both God and others. It is done by taking up our cross, just as Jesus Christ took up His cross (Luke 9v23) and following His life devoted to being a servant of others. As Christian Disciples, we have God in the person of the Holy Spirit, living inside us as a deposit for our future life with Jesus Christ (Ephesians 1v13-14). With His help, we are being transformed into the very image of Jesus Christ (2 Corinthians 3v18; Philippians 3v20-21). You may well be able to add other things to this in order to form your own worldview. For more to think about please do read for yourself: Philippians 2v1-18. Ask yourself the following questions, writing them down if you can, and see how you respond or react to them. Then why not share your answers with your spouse or a close friend, so that you can pray over any issues together. Q1. How has and is my worldview being developed and transformed into a worldview similar to that of Jesus Christ? Q2. How has my life been transformed in the last year and in what way can I continue to be transformed into the very image of Jesus Christ? Q3. In what way do the Apostles Creed and Nicene Creed help and reinforce my understanding of a Christian worldview? The world we live in, wants peace! We hear it all the time! Politicians want peace and they are prepared to go to war to get it! New Age folk want peace! Atheists, humanists, Muslims and Hindus want peace! The world is unified around the concept of peace! Almost all want and dream of it! However, the peace the world wants requires the manipulation of circumstances. On the other hand, God's peace comes regardless of circumstances. So what does the Bible have to say about peace between God and humanity and peace within humanity itself? What does the Bible mean by "peace"? Just how can I as a Christian disciple maintain an inner peace? Peace Definition: 'Shalom' was the Hebrew word used in the Old Testament. It means a wholeness of well-being & mind; the total absence of conflict and turmoil evidenced by an untroubled mind and a heart that does not fear! It is a total harmony with God, man, circumstances & self. The end of peace was when Adam sinned and fellowship was broken with God and between humans (Genesis 1:3). We know that the God we serve is a God of peace (1 Thessalonians 5:23). We also know that the Kingdom of God is about peace in the Holy Spirit (Romans 14:17). Jesus is referred to as the Prince of Peace (Isaiah 9v6) and Zechariah prophecised in Luke 1v79 that Jesus would "guide our feet into the way of peace." As Christian disciples, we have peace with God through the death and resurrection of our Jesus Christ our Master! But as you know, we are still fallible humans and we all have to some degree and at different times, inner turmoil caused by all sorts of things like asserting our rights, attitudes of unforgiveness towards others and guilty consciences reminding us of things past. What does peace with God mean? How does peace with those around me work? Why do I need to be at peace with those who do not like me? How can I maintain peace within me at all times? As Christian disciples we are justified by faith and have peace with God. This peace gives us access into grace and God's blessings (Romans 5:1-2). Our Master Jesus Christ is our peace between God & humanity; also within humanity and the hostility has been removed (Romans 2:13-18). Paul commands us in Romans 12vv17-20, to live at peace with everyone and not to be proud or vengeful. We are to do what is right in eyes of other people and exhibit positive goodness in the face of insult & assault. He goes on in Romans 14vv13-19 saying that we are to make every effort to do what leads to peace & mutual edification. We are not place stumbling blocks in front of others! Mutual encouragement and edification is more important than personal rights. By being peacemakers we will according to James 3v18 show real wisdom which reaps a harvest of righteousness. As Christian disciples we have the gift of peace with God from the God of peace (Philippians 4:4-9) given to us by Jesus! (John 14v27). Being peacemakers and having internal peace shows the fruit of the Spirit. And according to John 16v33, we have peace in troubled times & world through an untroubled, unfearful heart & mind. How do we maintain peace within? For more to think about please do read James 4vv1-11. Ask yourself the following questions, writing them down if you can, and see how you respond or react to them. Why not share your answers with your spouse or a close friend, so that you can pray over any issues together. What areas of your life do you need peace in right now? Are there situations where you need peace to rule? When was the last time you asked the Spirit of peace to rule over a situation or relationship? Jeremiah 37v11-16: After the Babylonian army had withdrawn from Jerusalem because of Pharaoh's army, 12 Jeremiah started to leave the city to go to the territory of Benjamin to get his share of the property among the people there. But when he reached the Benjamin Gate, the captain of the guard, whose name was Irijah son of Shelemiah, the son of Hananiah, arrested him and said, "You are deserting to the Babylonians!" "That's not true!" Jeremiah said. "I am not deserting to the Babylonians." But Irijah would not listen to him; instead, he arrested Jeremiah and brought him to the officials. They were angry with Jeremiah and had him beaten and imprisoned in the house of Jonathan the secretary, which they had made into a prison. Quite possibly the biggest question Christian Disciples ask themselves or is asked of them by others concerns the problem of suffering. I will start out by saying I don’t have all the answers, but hope to give some idea as to what the Bible says about suffering. Many people mention suffering as the main reason they do not believe in any form of God, whether that be a personal God or an impassive God. What is true of all humans, is that we all suffer in some way. It is an endemic part of human life. Suffering of any kind leaves some sort of scar or mark. Do you have scars? Physical, emotional or mental scars due to sickness, somebody else actions against you or as a result of your own actions? Scars come as a result of human life - everyone one of us has them! Are you suffering today from sickness? Are you suffering today because of somebody else? Guaranteed you know of somebody suffering, even if its only by watching the news and the scenes of devastation in Japan recently! There is man’s inhumanity to man, which causes suffering. There is suffering from man’s wilful disobedience against God as when Adam ate from the tree of the knowledge of good and evil (Genesis 3). Suffering was not part of God’s original creation and only came in after this event. There is also suffering as a result of the actions of others, as in the story of Joseph being sold into slavery (Genesis 37). There is physical suffering (John 9v1) and mental suffering (1 Corinthians 2). Finally there are spiritual sufferings: the work of satan, such as Job endured (Job 2v7); from the world (1 john 2v15-17); persecution because of maintaining Christian beliefs (Acts 16v19-24) and the Christian Disciple’s old and deceptive sinful nature (Romans 7v18-24). Scripture offers a little insight into the purposes of suffering. Suffering produces fruit such as patience (Hebrews 10v36); joy (Psalm 126v6); wisdom (Psalm 94v12) and maturity (1 Peter 5v10). To silence satan. Just as God allowed satan to cause Job to suffer, in order for Job to prove that he loved God for who God was and not for what God gave him (Job 1v8-11). To continue transform us into the image of Jesus who being fully God and fully man, endured the suffering of the cross for the sake of humanity (Philippians 3v10). To teach us dependence upon God and to have faith in Him (John 15v1-5). To increase our witness to those outside of the Christian faith (2 Corinthians 1v3-7). How is the Christian Disciple to respond to suffering? Naturally, we either treat it too flippantly or we take it far too seriously. The response that God wants His disciples to have to suffering is to be exercised by it. The Christian Disciple is to commit any suffering we endure to God and understand that He is faithful and that it will eventuate in His glory and for our own good (Romans 8v28; 1 Peter 4v18). We are to be joyful when enduring suffering (James 1v2). Now I admit, that that can be hard to do, but we are not left alone. The Holy Spirit indwells us and as one of His names suggests, as the Comforter, He provides comfort during the times of suffering. What is God doing about suffering? We know that God is personal and we know that as Jesus was both fully God and fully human, that God has suffered. God, who is without sin, became sin. The great God, who is outside of time, entered time. The God of the Christian Disciple intimately knows what suffering is like, because of the suffering Jesus endured on the Cross. Before He was arrested, Jesus suffered such anxiety, that he perspired blood (Luke 22v44). That is why as Christian Disciples we have a hope. Because the God we serve, personally knows our suffering and has endured suffering just like us. That is why we know God is a personal God. And what is God doing now about suffering? Well one day, one glorious day, every kind of suffering will be banished for those of us who love Him. Revelation 21v4: “God will wipe away our tears. There will be no more death, nor sorrow, nor crying and no more pain, for former things have passed away.” Take that verse to heart. What a glorious day it will be for those of us who love Him now. God Himself, with our face in His hands, wiping away our tears… When our King returns, there will be no more terrorism, missiles, guns, wars or bombs. No more will man’s inhumanity to man be allowed. No more torture, rapes, muggings or robberies. No more poverty or famine. No more religion, idols or icons. No more gossip, fornication, adultery, lying or debauchery. No more cowardice. No more pain. No more death. No more suffering. No more sin. Humanity’s sin is the creator of suffering, not God, as critics of the church maintain. For more to think about please do read for yourself: 1 Peter 3v13 to 1 Peter 4v19. Ask yourself the following questions, writing them down if you can, and see how you respond or react to them. Then why not share your answers with your spouse or a close friend, so that you can pray over any issues together. Q1. How am I to respond to the suffering I endure? Q2. What is my reaction to knowing that God suffered? Q3. What hope does Jesus’ resurrection from the dead give me to endure suffering? Resurrection means rising or raising up. It certainly means more than coming back to life as some people think. Jesus raised three people from the dead, but that was more a resuscitation than a resurrection - those three people would die again! So lets start by looking at Jesus' resurrection. The resurrection of Jesus Christ provides the central theme for the sermons and teaching in the early church (Acts 1v22; Acts 4v33, Acts 17v18). But what significance is there in Jesus' resurrection? Jesus' resurrection proves and vindicates all of His teaching. It certifies His claims to be the suffering Servant, just as it attests to His being fully God and the last Judge of all mankind (Isaiah 53v10-12; Acts 2v36; Acts 3v13-15; Romans 1v4). As the resurrected King, Jesus now intercedes for us. More than that, He has perfected the redemption of all those who choose to follow Him (Romans 5v10; Hebrews 6v20, 1 Peter 1v21). These facts remain for Jesus' resurrection, despite what some people say including Islam and other detractors of historical Christianity. The changed attitude of the disciples after seeing the risen Jesus. The disciples changed from defeated, cowardly people into victorious, brave and bold people. Nobody who could have produced the dead body of Jesus did so. This led to the survival and inordinate growth and impact of the early church. If there was no bodily resurrection of Jesus' would people really have risked persecution and death for a known lie? Finally, there were multiple appearances of Jesus! These appearances were to various numbers of individuals and groups of people, at various times of the day and in differing circumstances. Those who are or were non-believers will be resurrected (John 5v28-29), but not entered into heaven but rather cast into the lake of fire. It makes the work of evangelism for all Christian Disciples, all the more imperative. Go tell somebody today, the good news about what Jesus resurrection means to them. Salvation – Who decides the saved has been a question asked for centuries!! There are two extremist views in regards to salvation – there is “hyper-Calvinism” that says God has decided all things and there is nothing we can do about it. Then there is the opposite end, “universalism”, which says that God will grant salvation to all, regardless of creed, race or religion. But we need to see these two “isms” in the balance of Scripture. Firstly God does choose individuals to fulfil His purposes (Romans 9) and He chooses those who are, or will be, saved (John 15v16). These chosen ones are called the elect. However, it is also His will that all people should be saved (1 Timothy 2v3-4) and that nobody should perish (2 Peter 3v9). So in reading those two statements, it is imperative that we accept both these Scriptural statements as equally and absolutely true. When we use words about God with a time element such as 'chose', 'elect', we need to use these taking into God's infinite time framework (timelessness), and not in our human finite time framework. So God offers salvation to all, and leaves the responsibility to take up the offer with humans. As a Christian disciple you have taken up God’s offer of salvation! But now what? What happens after the decision to become a Christian has been made? This “working hard to show the results of your salvation” involves four things: Repentance, Faith, Perseverance and Discipline. c) Will - decision to turn from sin, self-pleasing and self-centredness to God. FAITH = BELIEF + TRUST + ACTION. a) Mind - recognition of our need of salvation. Acknowledging Christ’s death on our behalf and our need of forgiveness. b) Emotional (Heart) - personal assent to the gospel - What must I do to be saved? Agree to make salvation a part of life. c) Will - Personal trust. · Accepting His death on our behalf, and the forgiveness He offers. 3. Perseverance is the continuous operation of the Holy Spirit in the believer, by which the work of divine grace that is begun in the heart is continued and brought to completion. · Eternal life never depends on our feeble grip on Christ, but rather on His firm grip on us. 4. Godly Discipline Christian disciples are sometimes entangled by sin (Hebrews 12v1). God disciplines His children and “It is painful.” (Hebrews 12v11) Therefore if we are Christians, and we sin (remaining unrepentant and habitual), God will discipline (Hebrews 12v10). If we sin and are not disciplined, we are not His children (Hebrews 12v8). The Practice of Sin - Habitual Sin - The Christian disciple cannot continue to sin habitually, willingly maintaining a sinful practice or attitude. That is why we are warned against falling away. · Deliberate sinning after receiving the truth reveals a rejection of truth. However, God is merciful and will forgive if repentance is asked for! Living as a Christian disciple is to be a life that brings glory to Jesus Christ. Part of that is a life of repentance, faith, perseverance and discipline. In doing these four things, the Christian disciple inevitably carries their own cross daily, so that Jesus the Master is honoured and glorified. For more to think about please do read Philippians 2v1-16. Ask yourself the following questions, writing them down if you can, and see how you respond or react to them. Then why not share your answers with your spouse or a close friend, so that you can pray over any issues together. Q1. How am I working out my salvation? Q2. How is God working in me so that He is glorified? Q3. What am I doing to hold firmly to the word of life? Salvation has two sides to it. There is God’s side, which may seem obvious. But there is also the human side of salvation. God provides the salvation but it is the human’s responsibility to take it. So for the next two discussions, hopefully that is going to be the topic: salvation..
Salvation includes several parts. Initially there is conversion, or as Jesus put it Matthew 18v3: “I tell you the truth, unless you turn from your sins and become like little children, you will never get into the Kingdom of Heaven.” That means a voluntary change of turning from sin to God. That is the concept behind repentance. From there that point of beginning the life of a Christian disciple, it is a dynamic life and not to be passive. But what does this entail in regards to salvation? What must I do to be saved is a question often asked in the book of Acts “Believe in the Lord Jesus Christ” is the reply according to Acts 16v30-31. To believe does not mean just head knowledge; but believing in the heart (Romans 10v9), relying on the finished work of Christ for salvation. That is the human response to God’s offer of salvation. But what is God’s part of the deal? Firstly there is regeneration. Regeneration is the new birth, being born again, becoming a new creation. A regenerated person does not receive a new spirit or personality but the Holy Spirit recreates the moral basis of our character, setting it free to act according to God’s will giving the desire and ability to seek and follow God. Then there is Justification - our position before God. Justification is an act by which the sinner is acquitted and declared righteous in God’s sight (declared free from the penalty of sin). It is remission of sin and its penalty equals forgiveness. Justification therefore is the result of being in Jesus Christ. The basis of this justification is Romans 3v26, whereby Jesus Christ is both Just and the Justifier. Because God is holy, sin must be dealt with, He cannot arbitrarily forgive sin. The judgment and penalty of sin, which is death, was poured out on Jesus Christ who is our substitute. Therefore justice has been done, because God is just. By faith in Christ we are declared righteous as free gift, and Christian disciples are therefore justified. The attainment of moral holiness. The Process by which this is achieved is by the Christian disciple devoting them self to righteousness (Romans 6v19) with a desire and choosing to be holy, submitted and consecrated to God. Christian Disciples are to put off the old nature - crucify the passions and desires (Ephesians 4v22; Galatians 5v24) and put on the new nature created to be like God (Ephesians 4v24) This is done by a work of God (1 Thessalonians. 5v23, Philippians 2v13). Being indwelt by God the Holy Spirit from the moment of conversions, Christian disciples are to ‘walk in the spirit’ (Galatians 5v16). Desiring holiness, feed the new nature with God’s Word in order to renew our mind. Communicating with God. Talk to Him!! By doing this sin will be starved. For more to think about please do read Galatians 5vv16-25. Ask yourself the following questions, writing them down if you can, and see how you respond or react to them. Then why not share your answers with your spouse or a close friend, so that you can pray over any issues together. Q1. As a Christian disciple, how has my life changed since I started the Christian journey? Q2. If I am now sanctified before God, how do I show I wear the robe of righteousness? Q3. 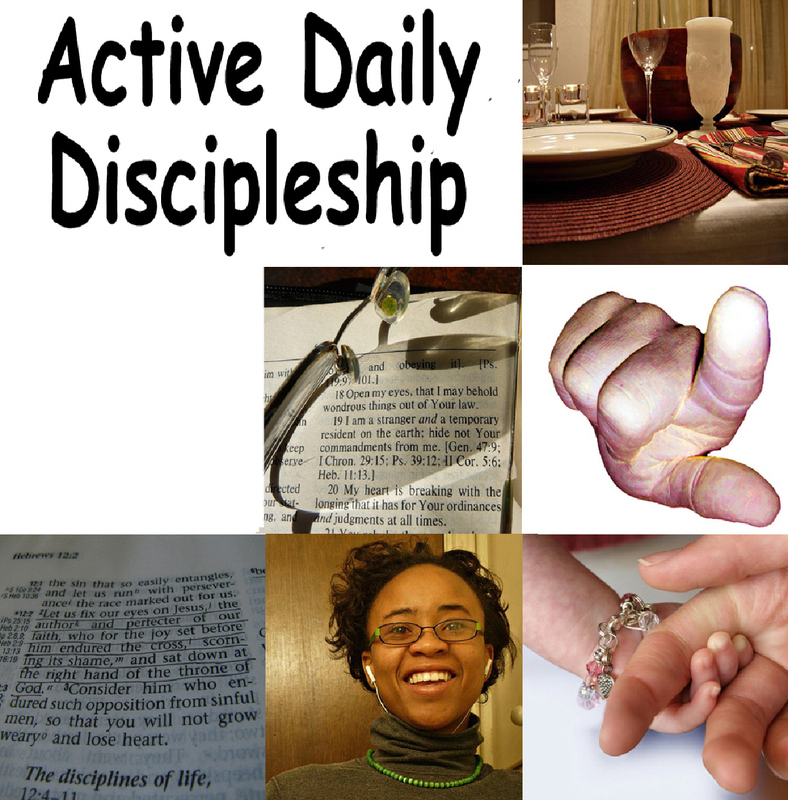 Do I exhibit the fruit of the Spirit to those who are not Christian disciples? Telling the same story in his Gospel account, John records the reason why Jesus retreated to spend some time alone and why the disciples were sent into the boat. This reason is that the crowd wanted to crown Jesus as a physical king. Jesus didn't want this to happen and so withdrew with the disciples went back into the boat. This experience of the disciples in the storm can be an encouragement to us when we go through the storms of life. We all go through storms and troubles. When we find ourselves in these storms, we can rest on 4 assurances about Jesus if we are Christians and following Him. This entire scene is a dramatic picture of the church and the Lord today. God's people are on the sea, in the midst of a storm. Yet Jesus Christ is in heaven, making intercessions for us - (Romans 8v34). He saw the disciples and knew their troubles (Mk 6v48), just as He knows our troubles and needs now. He feels the burdens and cares we have and knows what we are going through (Hebrews 4v14-16). Jesus was praying for the disciples that their faith would not fail. If you knew Jesus was in the next room, praying for you, would it not give you new courage to endure any troubles you have and follow Him? Of course you would. He is in heaven now, praying for you and me - in our needs, our fears and He is in control. Jesus always comes to us in the storms. He may not come in the time we think He should come, because He knows when we need Him most. He waited until the ship was as far away from land as possible, in the darkest hours of the night, so that all human hope was gone. He was testing the disciples' faith. Why did Jesus walk on water? To show the disciples that the very thing they feared was merely a walkway for him to come to them. Why did they not recognize him? They did not recognize him, because they were not looking for Him. Had they been waiting and watching in faith, they would have recognized him immediately. Instead they jumped to conclusions that it was a ‘ghost'. Fear and faith, living together causes doubt, and doubt is double mindedness that blinds our eyes to the Lord. This was the whole purpose of the storm, to help the disciples grow in their faith. After all, Jesus would one day leave them, and they would face many storms in their ministry. They had to learn to trust Him even though he would not be there with them, and even though it looked like He didn't care. Jesus said come, Peter went with him and together they walked to the ship. This must have encouraged the other disciples as well as Peter. When they saw the power of Jesus, they worshipped him. So whatever temporal troubles we have, Jesus will see us through to the end, for His praise and glory. If you are a Christian already, continue to focus on Him. He cares for you, just as he did for those disciples in the boat. By faith, Jesus is praying for us. By faith, Jesus will come to us. By faith, Jesus will help us grow in spiritual maturity. By faith, Jesus will see us through difficult times. If you don't already have faith in Jesus, please consider Him. If you want to turn to God there is no need for delay. He is ready and willing to take you as His own right now. You only have to ask Him to forgive you and to give you help on the journey ahead. It is a partnership between God and yourself. In other words, it is a dynamic relationship and not a dormant religion. The act of deciding to change course in mid-life, is what is called conversion, or deciding to be a Christian. When you place your faith in Jesus, becoming utterly dependent upon Him, you turn to God. You don't need to do or change anything to become a follower of Jesus! However once you have made that decision, you leave behind your spiritual isolation and rebellion against Him. As you live each day, becoming more involved with Jesus day by day, you will find yourself changing. You will stop doing those things that separated you from Him. You will find yourself doing things that please Jesus and develop your relationship with Him. How do you develop this relationship? Sin, or what alienates you from God, controls your rebellion against Him in your attitudes and your activities. God asks that you accept his guidance and management of your life. His point of view and His strength become your point of view and your source of strength. You turn your mind, will and heart to Him for all you do. If you want to become a Christian there are three simple steps to follow. Firstly, admit that you have done wrong against God and His ways. Secondly, believe and trust in Jesus. Call on Him, receive, trust, obey and worship Him, recognizing Him for who He is and what He has done. Lastly, confess Jesus as your Lord and Saviour. Once sin has been confessed, and Jesus is believed in and trusted as Saviour, then you are a Christian. Now you are ready as Peter writes in the Bible, "to grow in grace and knowledge of our Lord Jesus Christ" (2 Peter 3:18). God, I know that I am separated from you. I am truly sorry for all the things I have done against you. Please forgive me as you have promised to do. I acknowledge that your Son, Jesus Christ, died for the things I have done wrong. I now believe in Him and invite Jesus to be my personal Lord and Saviour, so that I can live with Him forever. In Jesus name I pray, Amen. If you prayed that prayer or a prayer like it, and would now call yourself a Christian, welcome into the family. Welcome to the family of God. God has chosen you; Jesus has paid for you and He has put His mark within you through His Spirit. (Ephesians 1:1-13). Please do leave a comment or email me so we can help you with your next steps. What are heaven and hell like? Both are physical places where every person will be in one or the other. There is no biblical warrant for purgatory. It is either heaven or hell. Is heaven sitting on a cloud with a harp and angel for company as popular myth has it? Is hell going to be a place where people who knew each other in this life will meet and have constant parties? What does the Bible say about heaven and hell? Jesus spoke about the reality of hell more than any other person. Even a cursory look in the Gospels will reveal that! It is a real place! Jesus promised us “I am going to build a place for you“ (John 14v1-4). Jesus has been working on it for almost 2000 years to this point in time!! Heaven is a beautiful place, prepared for all Christian Disciples, to live forever and ever with Jesus the King! When we get to heaven, Jesus has prepared a place for those who love Him, trust Him and obey Him as King. He is expecting us, wanting to lavish His love upon us. We know He loves us now, but that is only in part. When we are with Him eternally, we shall have the full picture of Jesus. He is with us now in Spirit, but then we shall be with Him physically and face to face. Heaven is also a pure place (Revelation 21v1-4). Today we all suffer in some way. When our King returns, no more will man’s inhumanity to man be allowed. No more pain. No more death. No more suffering. No more sin. Suffering of any kind leaves a scar or mark. Do you have physical, emotional or mental scars due to sickness, somebody else sinning against you or as a result of your own sins? Scars come as a result of human life. Yet, one day they will be gone!! A pure body we will have as His Disciples!! Perfection attained and it is to the glory of God and His majestic doing, that this will occur. One glorious day, all suffering will be banished for those of us who love Him. Revelation 21v4 - “God will wipe away our tears. There will be no more death, nor sorrow, nor crying and no more pain, for former things have passed away.” God Himself, with your face in His hands, wiping away your tears. It is a place where “love, joy, peace, longsuffering, kindness, goodness, faithfulness, gentleness and self-control” (Galatians 5v22-23), are both permanent and universal. What a day, that will be when we will enter those gates, thanking Jesus, looking back at how we suffered. Suffered not only medically, but also for His sake under persecution. We will be able to say with likes of Jeremiah and John “It was worth it all. The sufferings I endured and overcame for the sake of Jesus, was all worth it, so as to be here and living with our King forever.” Persecution of Christian Disciples is only going to get stronger in the west. We are going to be shouted down for saying Jesus as the only way to Heaven. Yet we must persist. We enter heaven through giant gates of pearl (Revelation 21v21). A pearl is formed when an oyster gets an irritating grain of sand within its shell. It covers the grain of sand over with layers of mother-of-pearl until the irritation and the suffering is no longer felt. Now what do you think the suffering was that created these giant pearls that are the gates? I think they are to remind us of the cross and the incredible suffering and pain that Jesus endured, when God who is outside of time and not confined by space, became confined in a man’s body and stepped into history. People denigrate the cross. I have had people say to me that “the cross doesn’t matter” and “your religion is as good as mine thank you very much.” Still others have stated, “that all religions lead to heaven”. However, the very gates of heaven tell us that it is only through the cross, by which we get to pass through and enjoy heaven in worship and service of God. Our King Himself has suffered for us on the cross, so that we may enjoy His company forever and ever, if we only trust and obey Him now and place our full faith in Him while we are here in this our temporal home on earth. When the Christian Disciple first decided for Jesus and turned over their life over to Him, that is when eternal life with Him commenced. We should be yearning to be with our Master. Yet, we are to keep one part of our mind on Heaven and the other on the responsible work we have been set to do, here on earth. We are not to be so heavenly minded, that we are of no earthly use. Conversely, we are not to be so earth bound, that we are not tied to King Jesus in our eternal home. Have you heard people say, that a loving God wouldn’t send anybody to an everlasting place of Hell? The God we serve as Christian Disciples doesn’t send anybody there. He has given everybody every opportunity to reject Hell and embrace Him. As Christian Disciples we are to evangelize, and tell others of the saving love of Jesus Christ on the cross. That is the Gospel we speak and live. Heaven is a great big place, and there will be room for everybody in this world to enter through one of those twelve gates! Look for Jesus coming again! Be expectant, for the King is coming back for us soon! Jesus is coming back as King of Righteousness to judge evil and reject those who rejected Him, whilst rewarding His disciples who patiently trust and obey Him. For more to think about please do ask yourself the following questions, writing them down if you can, and see how you respond or react to them. Then why not share your answers with your spouse or a close friend, so that you can pray over any issues together. Q1. Read Luke 10v20. How can I help others to have their names written in Heaven? Q2. Read 2 Peter 3v12. How am I looking forward to Heaven? Q3. Read Revelation 2v7-11. What do I need to overcome?